People say Ginger Rogers had a harder job than Fred Astaire because she had to do what he did backwards and in heels. And I would argue that Carrie Fisher had a more physically demanding role than her male counter parts in Star Wars since George Lucas wouldn’t let her wear a bra –because as everyone knows, there’s no underwear in space. Fisher related this hilarious if awkward conversation in her book Wishful Drinking, where she also discussed how electroconvulsive therapy (ECT) helped her and her bipolar disease. Fisher was an outspoken mental health advocate and helped the lives of many by speaking about her own struggles. 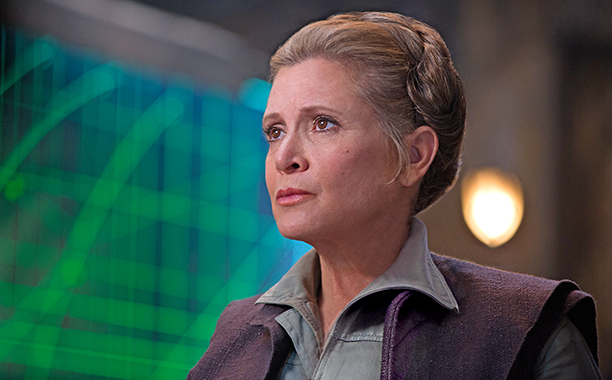 May the force always be with her.